There are many different types of industrial safety swing gates on the market, but we carry the best product lines available! Each option is different and has varying benefits depending on your unique requirements. 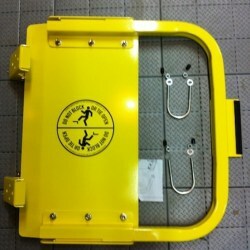 Check out our selection of self closing safety gates and see for yourself. The Bluewater Mfg GuardDog - self closing safety gate is tough, durable and best of all, economical, reliable, easy to install, and more closely matches the railings and their dimensional requirements provided for by Federal OSHA. 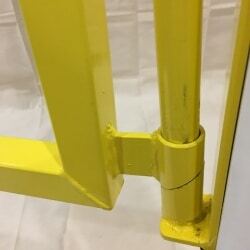 These self closing yellow safety gates will dramatically increase the safety of your employees. 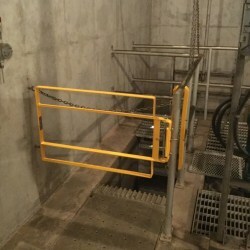 Use these industrial safety gates if you have unprotected openings on your ladders, platforms, and stairs, as well as on your catwalks, mezzanines, machine guarding, and many other uses. LSG Ladder Safety Gates are self-closing swing-gates that are OSHA and ANSI compliant and adjust to fit your opening size. 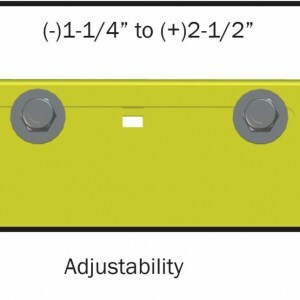 They are a great way to protect ladder ways, mezzanines, elevated platforms, or anywhere there is an opening in your guardrails. 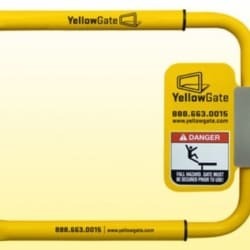 The YellowGate is a highly adjustable, versatile gate that can be installed to suit many different applications to offer fall protection barriers. Adjustable from 16" to 36" to fit any opening size in that range.